Ferndale, MI- An evening with friends included dinner at Pop’s for Italian at 280 W Nine Mile in Downtown Ferndale. 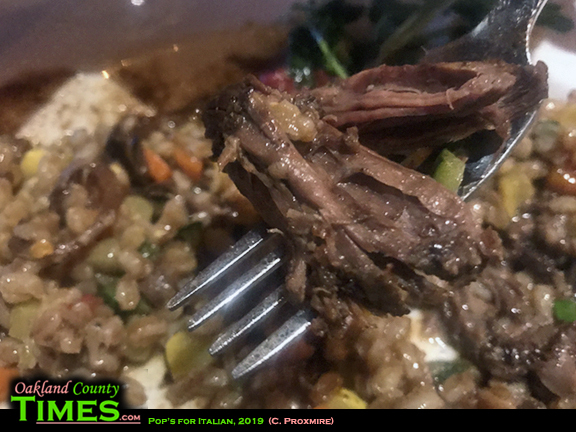 Pop’s is one of the sponsors of Oakland County Times, and I’ve been pleased to have previously enjoyed their Chicken Parmesan, Gnocchi, and their amazing Teres Major Neapolitan pizza. 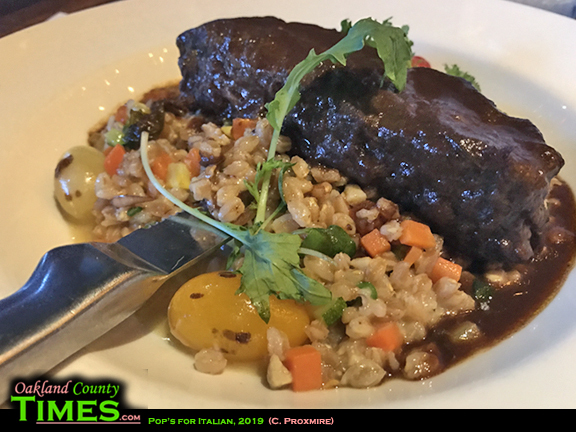 This time I had the Braised Short Rib, which was absolutely delicious. The meat practically melted it was so tender. It came served with farrow and vegetable risotto, pickled shallots, and beef au jus. 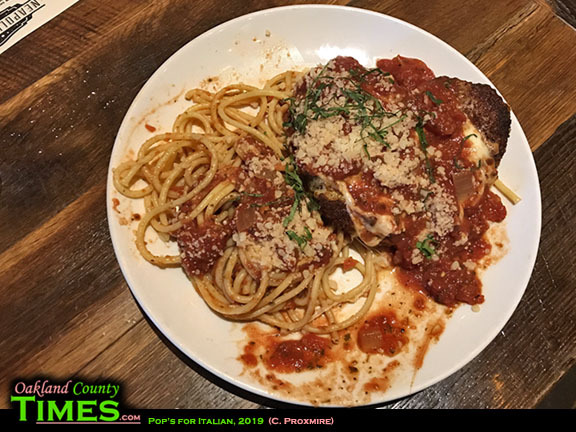 One friend had the Chicken Parmesan, which I know from experience is fantastic. 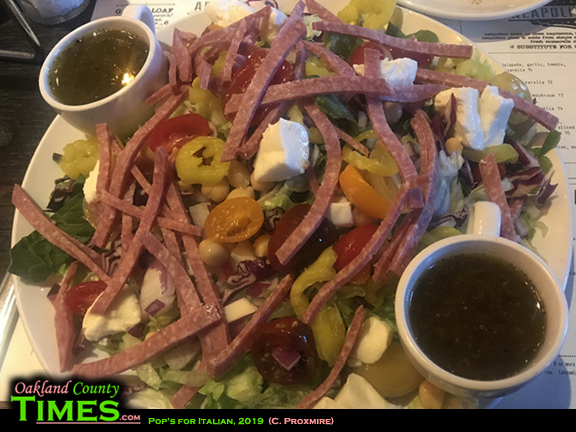 The other had the Pop’s Chopped Italian salad, loaded with salami, mozzarella, tomato, ceci beans, onion, pepperoncini, and Italian vinaigrette dressing. Pop’s is a beautiful space, with a large room centered with a towering wine bar. In one corner a mural of dancers sets the scene for diners, and in another corner the State of Liberty stands watch. Throughout the room we kept seeing people we knew, because so many enjoy this place. 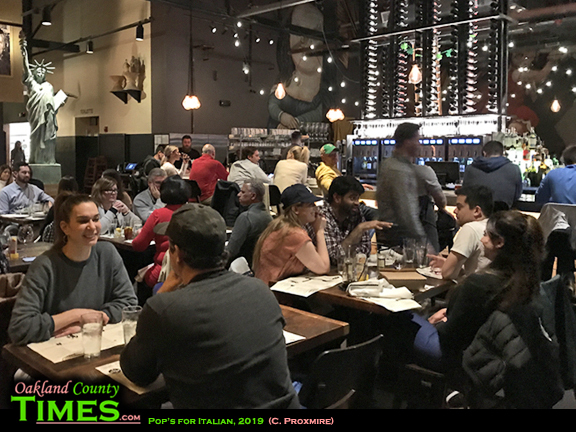 Pop’s for Italian is located at 280 W. 9 Mile in Downtown Ferndale. Check them out online at www.popsforitalian.com.